The idea to make the recordings available came from archivist Sarah Johnston. “The original description of this 1942 recording was ‘Christmas carols from staff and patients at No. 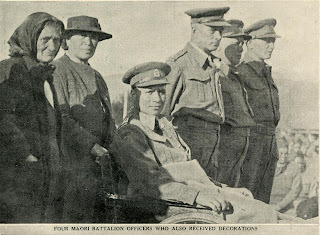 2 New Zealand General Hospital, North Africa’”, Sarah explains. “On listening to it we found messages from doctors and nurses and descriptions of Christmas Day celebrations in the hospital, and then a group of Māori patients is introduced, led by Nurse Wiki Katene of Porirua (Ngati Toa). 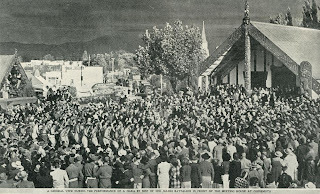 They sing “Silent Night/Marie te po” and then, while the choir sings “Tama Ngakau Marie” in the background, 14 men introduce themselves and send greetings in Māori to whanau back home”. Enhancement of the recordings by audio historian Dr Monty Soutar of the Ministry for Culture and Heritage Mānatu Taonga and coordinator of the 28 Māori Battalion website, has led to most of the speakers being identified. 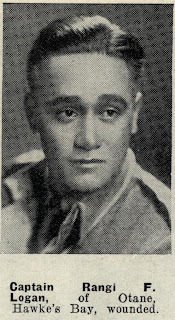 They include the following soldiers who were all wounded during the Alamein campaign: Peter Hodge of Ngāti Whakaue, Te Irimana Waenga of Te Whanau-a-Apanui, Barney Kapuaroa of Gisborne, Tame (Thomas) Karena of Ngāti Kahungunu, Kopu Heremia of Ngāti Raukawa, L/Sgt Hira Parata of Ngati Toa, Cpl Ripene Matoe of Ngāti Ruanui and Hami Ngaheke of Ngāti Pikiahu-Waewae. However the identity of some of the soldiers remains unknown. It is hoped that providing access to the recordings online will lead to whanau coming forward and those voices being named. There are also recordings by Lt Rangi Logan of Ngāti Kahungunu (pictured below, image from the heritage collections of Auckland Libraries), Pte Bill Te Anga of Waikato, Maniapoto, Henare Toka of Ngapuhi, and Lt-Col Tiwi Love of Te Ati Awa, who was killed just months later, encouraging their iwi to send more reinforcements.